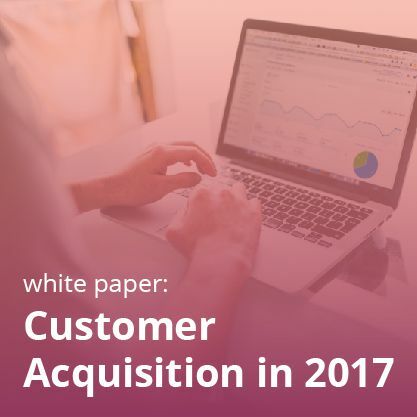 Our common observation is that most of the marketers have no doubts whatsoever about the efficacy and benefits of customer referral programs. And the reason for this doubtless mindset is- many success stories of such referral programs. But there are people who have doubts about programs’ functionality. 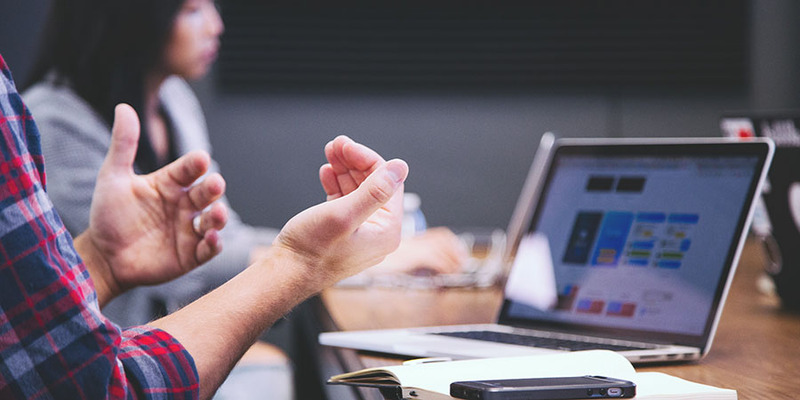 In this article, I will try to calm the qualms in the context of our referral programs by answering your top referral marketing FAQs. 1) How Can I Request Referrals From My Customers? 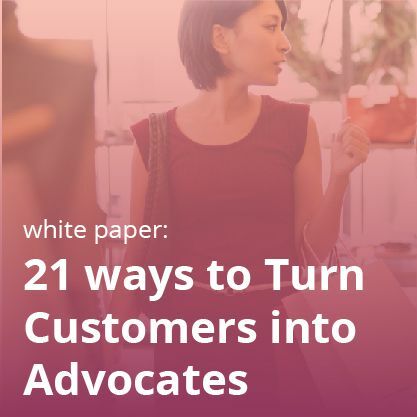 One of the most effective ways to solicit referrals from your customers is to place calls to action (CTAs) across your site, like on your homepage or on your “My Account” page. You should also send out emails notifying customers of your referral program, and promote it on social media. 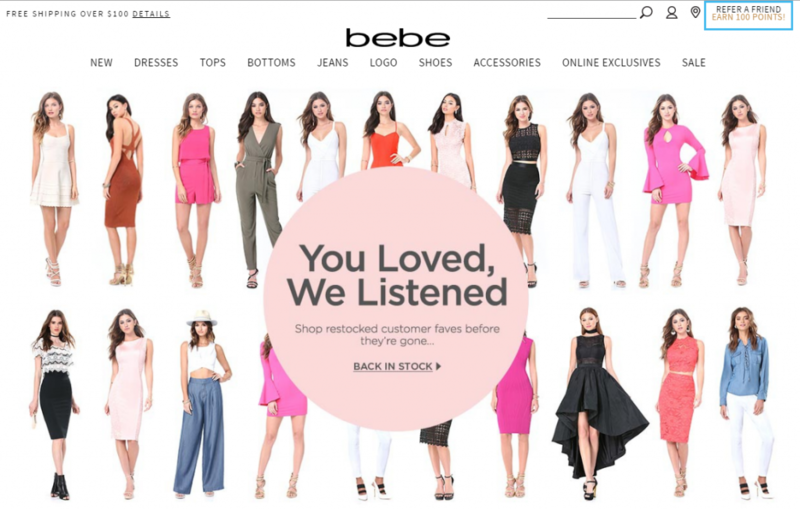 Bebe, for example, puts a referral CTA on the top navigation of their website. 2) How Can Customers Refer a Friend? This is one of our most common referral marketing FAQs. Email, social media, and receipt codes are just a few of the options. Besides, there is no restriction on referrals. You can request as many referrals as you want. 3) What Do Friends Need To Do So That Customers Can Get Their Rewards? 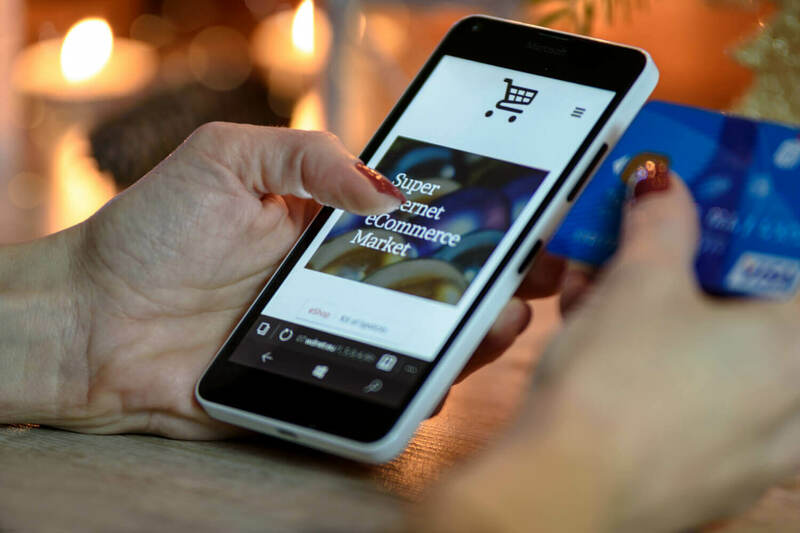 Your friend needs to perform the referral action, such as purchase or sharing the referral link on various social media. The referral action may vary depending upon the program’s goal. 4) What If a Referred Friend Is Not Taking The Action? Our solution is robust enough to take care of that. You can send a reminder email to your friend if he hasn’t taken action even after three days. After three days, an additional referral email will be sent. You can always adjust the time frame for sending these reminder emails. 5) When Can Customers Get Their Rewards? The referred friend has to finish the Referral Action. Once that is done, the customer who made the referral will receive rewards via email. 6) Do Customer Rewards Or Incentives Get Expired? We have kept the whole solution flexible to suit your individual needs. Even though the referral email can be active only for 30 days, you can make changes in it as per your requirements. The same is true with rewards. Generally, most rewards are active for one year. 7) Are There Only One Kind Of Incentives? 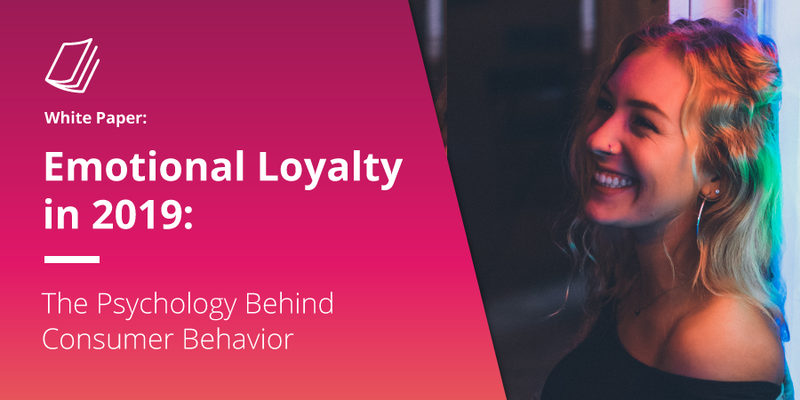 39% of survey respondents say monetary or material incentives such as discounts, free swag or gift cards greatly increase their chances of referring a brand. Even though $ Off is the most popular reward, we understand that neither the brands nor the customers are same. 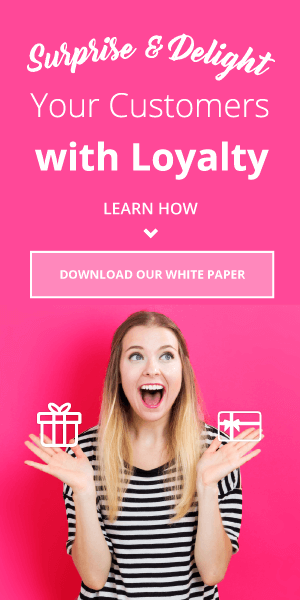 That’s why our refer a friend solution is flexible enough to support and deliver any kind of incentives- Product Samples and 3rd party gift cards are some of them. 8) In Case Customers Don’t Get My Rewards Even After All The Above-Mentioned Procedures, Who Do I Contact About This? Your inbox. An email confirming the reward will be sent to the email address you used when signing up. Your balance. Referral rewards will be credited directly to your account. 9) Can I Track The Success Of Your Refer A Friend Solution? Our solution comes with a comprehensive dashboard, which has inbuilt reporting capabilities. 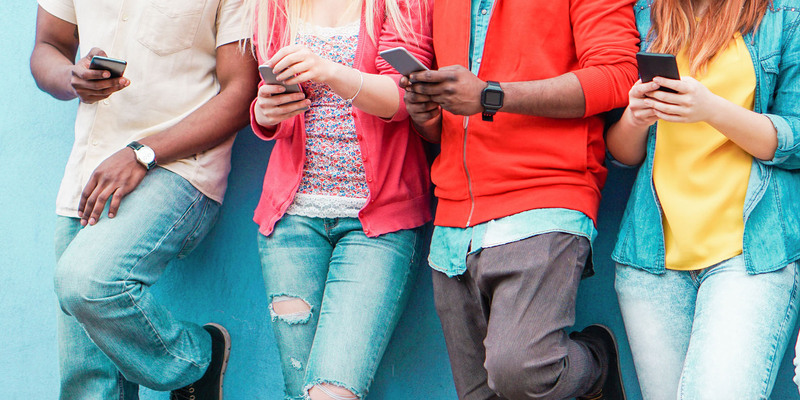 You can identify your top influencers, track the channels with your highest referral rates and monitor revenue generated through Refer a Friend. 10) Does Your Program Help Me In Organizing My Efforts? Yes. You can customize your reporting and scheduling. As all the members in the team get the information they need, it ensures that all the members of your team are on the same page. 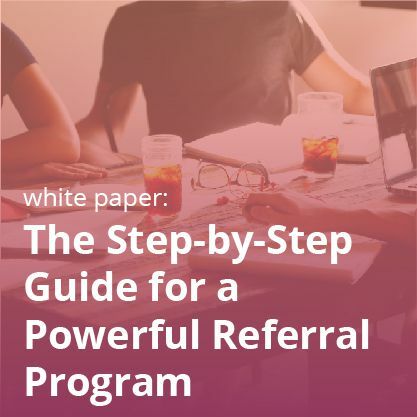 Our best minds at Annex Cloud has devised refer a friend program by taking care of all the pain points that marketers face on a daily basis as far as refer a friend program in concerned. We have made it as simple and as interactive as possible from customers’ point of view. If you have more referral marketing FAQs, please submit them in the comments section or by clicking “Contact Us” on our website!